Mazda’s two most popular vehicles either offer autobraking standard or as a low-cost option, throwing down the gauntlet to competitors and potentially affecting collision repair frequency and severity. Mazda in August 2017 announced the 2018 Mazda3 would carry multiple i-ACTIVSENSE advanced driver assistance features standard. These include autobraking, advanced blind spot monitoring and rear-cross-traffic alerts (but not autobraking). Sales were way down last year, but Mazda still sold 75,018 Mazda3s, and that high a volume means the car’s likely to affect your market. The car also will come standard with power, heated mirrors with turn signals — another item which could increase severity and repair complexity. 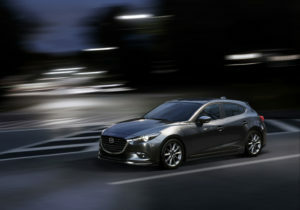 Shops will likely also need to pay greater attention to the chassis and steering system, for Mazda has installed its “G-Vectoring Control” standard on all Mazda3s. Mazda in a video states that this should subtly change a driver’s anticipation for how the vehicle will behave in turns, which seems as though the driver might be bringing the car back insisting it “drives weird” if you can’t restore the system to Mazda’s standards. Late last year, Mazda announced that it would upgrade the mid-trim CX-5 — its most popular vehicle, selling 127,563 last year — to carry the full i-ACTIVSENSE package standard and offer a version of the package as a $625 option for the entry 2018 CX-5 Sport. Blind spot monitoring and rear-cross traffic alerts are standard no matter what, as are LED headlights and taillights. The $625 option for the base 2018 CX-5 Sport will include autobraking, adaptive cruise control, lane-keeping assist, automated high beams and automatic headlights, and rain-sensing wipers. This month, both the Mazda3 and CX-5 won Good Housekeeping Best New Car Awards, which could help fuel sales and get more into your area. 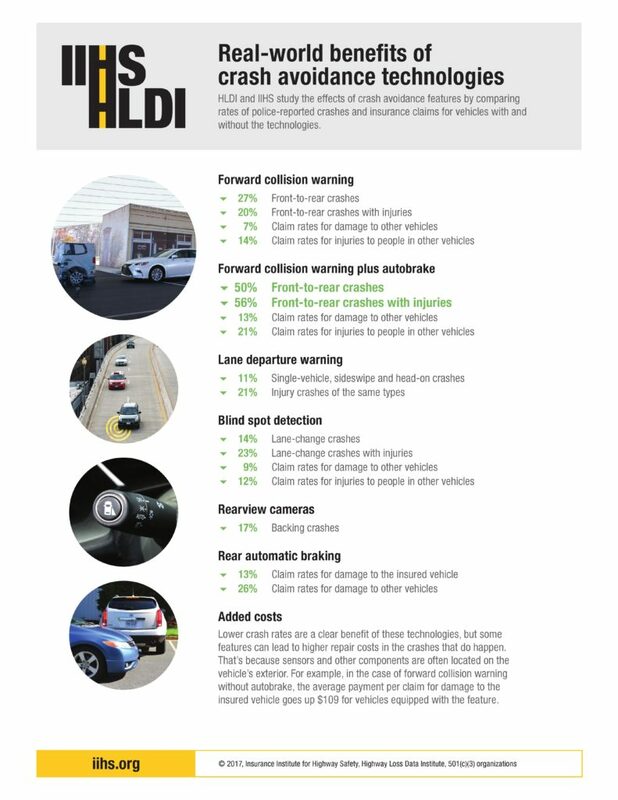 The sooner ADAS options penetrate the market, the sooner repairers might start feeling the pinch of lost sales, based on Insurance Institute for Highway Safety Highway Loss Data Institute research. For example, the IIHS estimates that autobraking with a collision warning might cut 50 percent of rear-ending crashes — a trend which could be disastrous for volume-reliant shops. For an AWD system to get it right all the time, it needs to be able to sense both the road and the driver and predict what torque split is required before the driver can feel a loss of traction. That sensing comes from data the car already has. The electric power steering knows exactly how hard you’re turning the steering wheel, for example, and since steering effort gets lighter on slippery surfaces, the CX-5 can use that information to measure the surface grip. The stability control system is already closely watching the speed of all four wheels, and if one tire starts going faster, the i-ACTIV AWD knows how slippery the surface must be to allow that slip and can correct it before the driver would even feel it. The system uses indirect sensing, too, watching the outside temperature to see if it’s cold enough that ice or snow are possible and watching the wipers to know if it’s raining. In total, Mazda’s i-ACTIV AWD system samples 27 channels of data 200 times per second to paint a composite of what the road looks like, sending power forward or rearward before the driver and passengers sense any slip, whereas many vehicles with reactive systems allow a momentary feeling of uneasiness, sliding along on a slippery surface, before power is routed to the rear wheels.